Elections for the Southern Highlands Provincial Seat cannot be failed, says Electoral Commissioner Patilias Gamato. 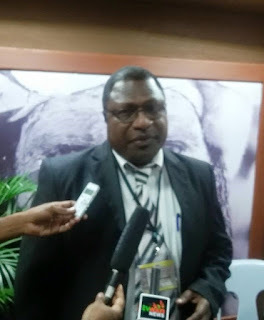 Mr. Gamato was responding to calls on him to declare the Southern Highlands Provincial Seat elections as “failed” and for supplementary elections to be held since counting hasn’t been completed after first sitting of the new Parliament three weeks ago. He explained that counting for the Southern Highlands Provincial Seat was recently ordered by Court to be conducted in Mt. Hagen. Mr. Gamato confirmed that the Election Manager for Eastern Highlands Steven Gore Kaupa has been appointed as the Provincial Returning Officer to oversee the continuation and completion of the Southern Highlands Provincial count. Meanwhile, the National Court has put a hold on the return of writ for Kundiawa-Gembogl Open electorate and also ordered the counting of two (2) disputed ballot boxes after lawyers for the former MP Tobias Kulang obtained the court order and asked for the count.